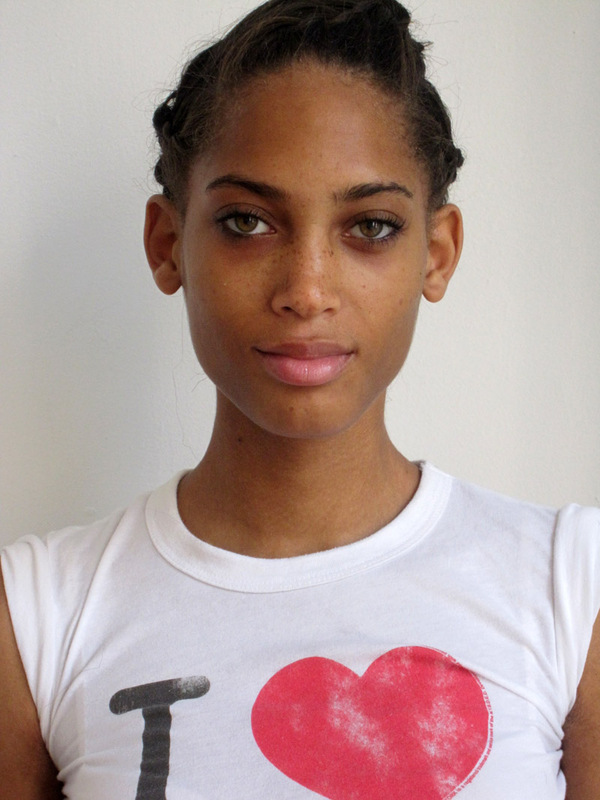 Bermudan babe Lily was scouted on the streets of NYC by agents from APM while she was in town to see agencies. Currently working on building her book, when this Caribbean queen isn’t modeling she spends her time writing poetry, painting and reading. Hazel eyes, a scattering of freckles and perfect proportions – this girl is classic. Pretty new face. She needs more rest though and it will be nice to see her with a pro shoot done. I’m happy to see girls being scouted from the Caribbean islands, which is where I’m from. There’s a lot of untapped talent there. Anyway, I love her eyes. I think she can really work the androgynous pretty boy look. OMG! She is super gorgeous!!! I want to see more of her, this girl will rock!!! Love her look. Her eyes and freckles! omg im from bermuda ive seen her in some shows at thome she is lovely with a unique look! Hey ya’ll this is my lil sis!!!! I’m s proud of her….she is doing what she loves!!! Can’t wait to see her on the runway or in Vogue magazine!! Lily you’re beautiful! I love you. You’re going to make it! Keep making me proud! P.s.deisgners who don’t want to sign Lil are CRAZY. She can pull off any look and do a gREAT job. I am soo proud of u lil.!! Such an inspiration and gorgeous. Keep up the good work fam.! Love you hun; see you on the runway soon. A knockout.. I can see that face chartering ultra-lux campaigns up and down 5th Ave. Lil has got the goods. and such a beautiful name. Gorgeous! She is goin to have a long career. She got that special somethin! Keep workin on that book cause I want to see more! Very beautiful your going to go a long way!! BEAUTIFUL! BEAUTIFUL! BEAUTIFUL! She will soon be the new “It-girl”. What’s even more amazing is that she has an beautiful personality to match. Lillian girl, I am proud of you. Love u.
I am a photographer from Bermuda whose had the opportunity to photograph Lily. She has passion, a great personality, takes direction well and is a pleasure to work with; I look forward to working with her again. She also has a great look, beautiful features and great proportions. I believe in your talent Lily and know that you have what it takes to make it in this industry to do well. Very proud of you for following your passion and dream, I know that you will Represent the “Rock” well!! Blessings. I don’t usually comment on the new faces but shes def unique and cute. She looks like a grown-up Willow Smith! 8) I think she’d do well in London. ahhh and the freckles are so cute!!! shes perfect! i cant name one flaw. not one! All the best in NYC and your modeling career Lillian! Capital G Marketing is rooting for you (our favourite event model)!